Fabrice MERIAUDEAU was born in Villeurbanne, France, on March 18, 1971. He received both the master degree in physics at Dijon University, France as well as an Engineering Degree (FIRST) in material sciences in 1994. He also obtained a Ph.D. in image processing at the same University in 1997. He was a postdoc for a year at The Oak Ridge National Laboratory. 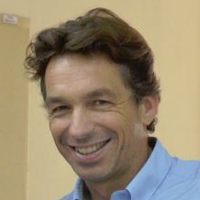 He is currently “Professeur des Universités” and Director of the Le2i (UMR CNRS), which has more than 200 staff members. His research interests were focused on image processing for non-conventional imaging systems (UV, IR, polarization…) and more recently on medical/biomedical imaging. He has coordinated an Erasmus Mundus Master in the field of Computer Vision and Robotics from 2006 to 2010 and he was the Vice President for International Affairs for the University of Burgundy from 2010 to 2012. He has authored and co-authored more than 150 international publications and holds three patents. 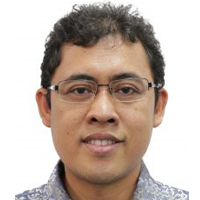 In 2016 he joined the Universiti Teknologi PETRONAS as a full professor and was recently appointed as the Director of the Institute Health and Analytics. Diabetic retinopathy, Age-related macular degeneration as well as glaucoma are the main retinal diseases. Suffering from these can lead to blindness and their progression in developed and developing countries raises high concerns. Therefore, effective and early diagnosis and treatment are highly desired. Currently, retinal medical imaging is one of the main diagnostic means for eye diseases. This talk will address the latest Computer Aided Diagnosis techniques applied to spectral-domain optical coherence tomography (SD-OCT) as well as Fundus Images. It will cover the basis of preprocessing to machine learning with approaches based on Bag of Features, Bag of Word, Feature reduction, as well as the latest Deep Learning architectures either used for segmentation (vessels) or classification. Sensing Societies. Since January 2015, he is elevated to a Senior Member of IEEE. Capsule Networks is one of the hottest topics in the current deep learning community. Its revolutionary architecture and algorithms based on capsules representation and routing by agreement provide a new and deep insight on how actually the current deep learning that is based on routing by max pooling has been a success but also a big flaw. In this talk, a solid understanding of the architecture, algorithms, and the intuition behind its works will be presented and discussed. Especially on how to deal with big video data and benefiting from the capsule networks for video analytics. How to make its learning more scalable for training it distributedly on multiple machines with multiple GPUs both using remote procedure calls, stream processing, and hadoop is also addressed. A showcase on action recognition using capsule networks from big video video data (UCF-101) will also be presented. On Lee is the CEO & CTO of GDP Labs and CTO of GDP Venture. He has over 30 years of experience in Internet, mobile, AI, consumer and enterprise software development. His current focus is on AI. He incubates and advises domestic and international AI startups. Additionally, he has given talks at and judged various events: major universities, CIO conference, Google event, Microsoft events and competition, accelerator programs, a judge at MIT Inclusive Innovation Challenge judge and part of the MIT Technology Review Global Panel. 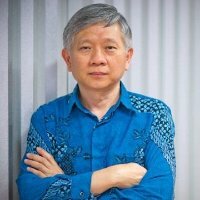 Furthermore, he has contributed to various products at a nationwide and global scale such as OpenGL, Microsoft Windows, Microsoft Tablets, KASKUS.id etc. which has been used by hundreds of millions of users and created multi-billion dollars in revenues over the years. He has held various management and technical positions as a Co-Founder, CEO, Chief Technology Officer (CTO), Executive VP of Engineering, and engineer in both startup and Fortune 500 companies in the US. Additionally, he has built teams to start strategic new products in startup and large companies in the US, Indonesia, China and India. He has a Master and Bachelor degrees in Computer Science with a minor in Mathematics from Utah State University. After a few decades of “AI Winter” – a quiet period without any significant progress – AI has made a come back due to a series of breakthroughs in Deep Learning algorithms; particularly in NLP, Speech & Computer Vision technologies in recent years. However, it has to take a concerted effort from 3 major institutions — Government, Academia and Industry — in order for AI to benefit billions of people globally like the internet and mobile computing do today. Not a day goes by without people talking about AI on the internet, magazines, radio, TV, conferences, etc. for the past few years. However, most of them just talk at the ten-thousand foot views. Even worse, many AI projects fail miserably. Why? Because AI is hard and expensive to implement due to lack of expertise. This talk will focus on the industry perspective, from idea to strategy to execution. We will share GDP Venture and GDP Labs’ experience on how we built an AI expertise and AI ecosystem for our companies and the Indonesian tech industry. Also, we will discuss how academia could enable and help accelerate the growth of AI in Indonesia.